Around 70 women representing 22 countries from PSI's Asia Pacific region will launch, during APRECON in Japan, what is being called the "Fukuoka Statement". With the slogan “Unions at the core of women’s economic empowerment in the changing world of work”, the document will serve as a roadmap towards the UNCSW61. PSI affiliate, the Canadian Union of Public Employees, Canada’s largest union, is calling on Parliament to adopt a federal pay equity law that will close the persistent gap in how women and men are paid for work of equal value. CUPE says the time frame recommended by an MPs’ committee on pay equity doesn’t move quickly enough in addressing discrimination against women workers. 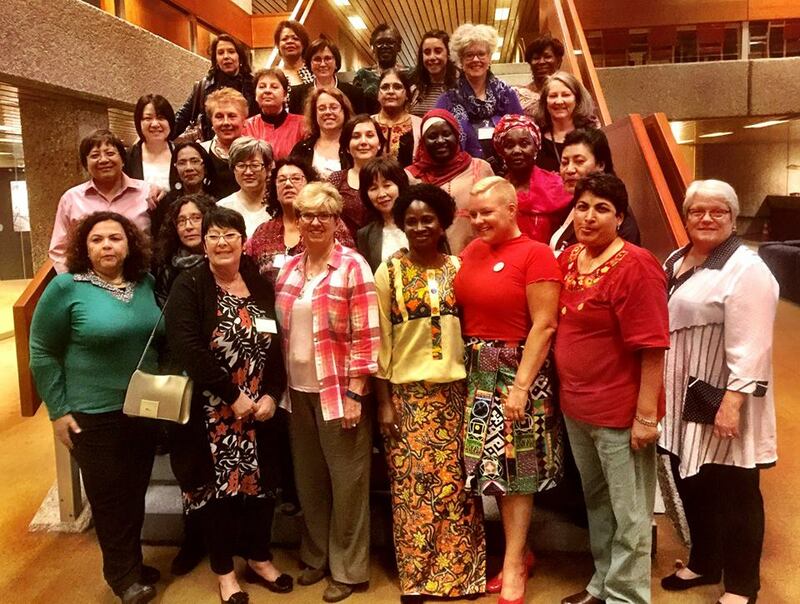 The PSI World Women´s Committee met on 18th May 2016, with the participation of 33 women (16 titulars and 17 observers) and the General Secretary. Discussion focused on how to shape PSI´s policy on gender equality for the 2017 Congress. To commemorate this year’s International Women’s Day, the Trades Union Congress Ghana (TUC) organized a forum which all the 7 PSI affiliates in the country took part. Women were advised to struggle towards the 50:50 representation and participation. During the celebration of the International Women's Day, the Union of Engineering and Technical Professions South Electricity Sector (UETPSES) distributed pamphlets calling the society to put a limit to such traditions when it comes to this issue. Ten people (seven women and three men) representing the All-Japan Prefectural and Municipal Workers Union, the Japan Public Sector Union and All Japan Water Supply Workers Union participated in the lobbying activity. The move was part of the Women’s Committee’s activities relating to the 8th of March. This is the conclusion reached by Verónica Montúfar, PSI World Gender and Equity Coordinator. "Where there are no health services, women act as nurses. Where there are no schools, women provide an education for their children. In the absence of public services, women provide them." Public Services International (PSI) promotes the work of women trade unionists and stands united with all of our sisters who deliver vital public services. From the 8th of March to Friday the 25th, PSI joins its members around the world in celebrating women and their achievements. Runaway inequality has created a world where 62 people own as much as the poorest half of the world's population, according to an Oxfam report published ahead of the annual gathering of the world's financial and political elites in Davos.